Can You Believe This Sh*t? 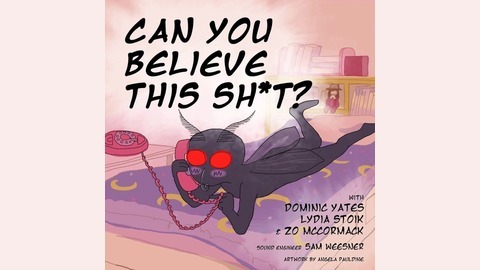 Join us each week as three friends get together and discuss murder, ghosts, demons, The Mothman, and much, much more, with a comedic and irreverent twist. On this episode, Lydia starts off with Miss Unsinkable, Violet Jessop, and God's inability to kill her. Next, Dominic brings sideshow abductions to the table with the story of George and Willie Muse a.k.a "Eko & Iko". Finally, Zo closes out with a good ol' murder-for-hire plot featuring Greg Mulvihill, Diana Lovejoy, Weldon McDavid, and other foolish names. What's in your spider wallet? Can You Believe This Sh*t?